Steady improvement in Sino-Indian relations is a beneficial step in promoting the concept of neighboring trilateral cooperation bringing in Nepal. New conservation efforts to preserve the Great Wall of China will protect the country's distinct cultural heritage. 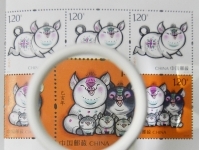 Forty years ago, China began issuing special stamps highlighting the animal-based 12-year zodiac system. Now, many countries have followed suit to recognize the long history of Chinese culture. 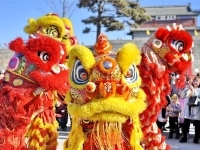 Celebration of China's Spring Festival, marking the lunar new year, gives people everywhere a chance to forge closer bonds with, and gain deeper understanding of that country. With the Year of the Pig just around the corner, Chinese people everywhere are on the move and preparing to celebrate the Lunar New Year with their families, following age-old traditions. What were the real reasons behind Macron's visit to Egypt? On January 27, French President Macron arrived in Egypt for his first visit since he took office in 2017. What were the main aims of his visit? 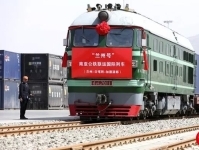 The American hawkish view to achieve an economic dichotomy between China and the United States amid escalation of the bilateral trade frictions will definitely not trouble China only. Increased travel to neighboring countries by Chinese citizens promises to be a game changer for the Pakistan tourist industry. There are many uncertainties facing the global economy in 2019 that will tend to slow down growth. However, amid the challenges, there are new opportunities to possibly mitigate this trend. French President Emmanuel Macron has proposed a "national debate" to take the sting out of the violent street protests against his administration. However, it seems something far more drastic is needed.